Our dormitories are designed with lots of sunlight and fantastic views of Seto-Inland Sea and Miyajima Island. Each bed comes with a light, outlets equipped with a cellphone charger and curtains to ensure every our guest’s comfort. ※Our system is in order of arrival for choosing bed. You can't reserve a lower bed or upper bed. - Check-in is 3 p.m. to 12 a.m., and check-out must be done until 11 a.m.. ※Please note that the reservation shall be canceled after 12 a.m. and the entrance door shall be locked. - You can leave your baggage before check-in as well as after check-out. Just feel free to ask your staff at the reception. - There is no curfew. Even after the entrance is locked, you can unlock it by inputting the code that will be given you when you check-in. - The accommodation fees don’t include amenities such as bath towel, toothbrush and so on. Please bring all of your needs by yourself or purchase them at the reception. ※ shampoo, conditioner, body wash and slippers are available for free of charge. - Smoking is prohibited inside the entire hostel. Please use the smoking booth. - Male guests shall not enter women-only rooms. - At the time of check-out, please put your two sheets and one pillow cover into any of the linen bags located at the 2nd 3rd 4th floor. - We keep lost property for two months. If you guess that you might have lost your belongings in our hostel, just contact to us as soon as possible. The hostel was very clean. It was very well situated to go to Miyajima island. The staff was thoughtful, kind and very helpful. The showers were spotless and very enjoyable. We even ended up having one of the dorm rooms for ourselves. Would stay again and would strongly recommend. Probably the best Hostel I have stayed st anywhere. Very clean, so much space to relax in common area. Lovely showers and great staff. Very helpful. 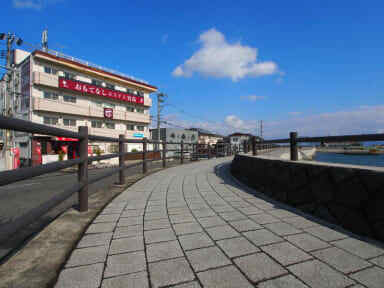 Great location near water and ferry to Miyajima island. I would highly recommend it. I wanted to stay somewhere a little outside of the city, as my next two destinations were Kyoto and Tokyo, and this hostel did the trick. Easy to get to once you’re done it your first time and very friendly. Not many guests staying there while I attended, mostly because it was a Monday, but still a great experience. Summery: Great staff, Great room and Great facilities. 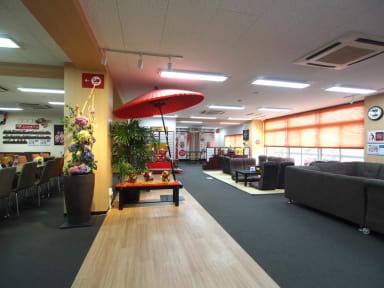 I've been to multiple hostels across japan and this is one of my favorites! Shower rooms are amazing as well! This was a really nice hostel, very close to an electric train station (about 7 minutes' walk). My only disappointment is that it's actually about an hour away from Hiroshima Station and the Peace Park. However, it was about 20 minutes from Miyajima Island, which was great! They had a very nice convenience store area within the hostel, and the facilities were always clean. I was quite happy overall. The shower rooms are probably the nicest I've ever seen in a hostel. It is an hour away from central Hiroshima but it is in a good location for a trip to Miyajima. Not a lot around the hostel but they have their own shop which is still quite cheap. Generally was a good hostel but the vibe is quite strange - the common area feel a bit like an office common area but it has all the facilities needed (including a karoke booth). We picked this location to be closer to Miyajima Island but you still need to get the tram 2 stops down or walk 50 mins to the ferry point (not sure how walkable it is though). There isn't anything close by but there is a shop in the hostel. Dorm rooms were spacious and basic. 2 tram stops away from the Miyajima ferry, about an hour by tram from the Atomic Bomb Dome in Hiroshima. Parts of it feel weirdly like a hotel, but then you go into your room and it's a bunch of bunk beds. I think I was the only foreigner there, everyone else I saw was Japanese. But it was clean and the staff was very helpful. Los baños son lo mejor. Esta muy lejos de todo y no tiene nada cerca, solo un kiosco ahí mismo.